Greek artist ANDY ROCK started to play in rock bands in early 2000. The main musical influences on his music and guitar play come from some of the greatest AOR bands such as Bon Jovi, Richard Marx and Michael Bolton. 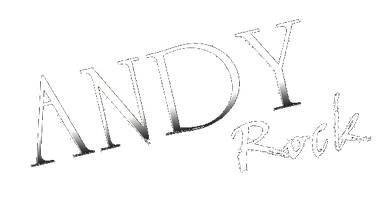 In 2004, ANDY ROCK formed the Melodic Rock band WILD ROSE which has released a studio album entitled “Half Past Midnight” in 2011 and received very good results in the press for this release. During the past years, the band has played many live shows in Greece with as headliner as well as support for Talisman and at festivals such Rosewood Festival in Thessaloniki in 2011 and 2012 together with Newman and Work Of Art amongst others. 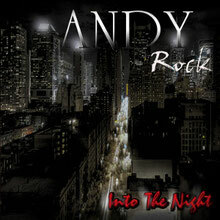 ANDY ROCK has always been composing more songs besides the ones for WILD ROSE and now his first solo album "Into The Night" is already set for release on September 7 through AOR Heaven. Besides the guitar work, ANDY ROCK here also was in charge for the vocals and all instruments except for the drums. He wrote all of the songs on this album and mixed and produced it at Evo Studios Hellas together with Dr. Love singer Chris Siloma who also can be heard on backing vocals on all tracks. You can hear some songs from the album at MetalHeaven website.